2014 will go down in the record books as the year of the recall. General Motors (GM) has led the way, issuing recalls affecting 30 million vehicles before the year was half gone. Close scrutiny by the NHTSA, a much-publicized internal cover up resulting in 27 confirmed deaths thus far, and strong media interest has kept recalls as one of the top stories. Competing automakers are also recalling vehicles, as the government shines the spotlight brighter than ever. The following are among the most recent recalls announced and what they mean to you, the car owner. Toyota has had its share of major recalls this year. This week, it recalled more than 1.75 million vehicles, including at last 750 million Toyota and Lexus sedans. The affected sedans are equipped with faulty fuel pipes that may leak, raising the risk of fire. It was the fourth international recall of at least one million vehicles made by Toyota this year reports Bloomberg. Select Jeep Grand Cherokee models powered by a 3.6-liter engine are under recall. 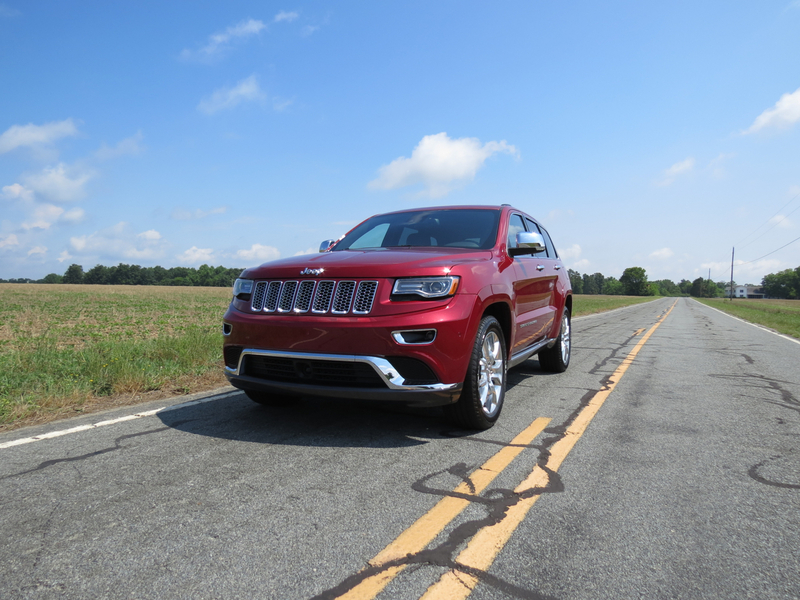 On Thursday, Chrysler recalled 907,000 Chrysler, Dodge and Jeep vehicles. The recall included 470,000 Jeep Grand Cherokees; Dodge Challengers, Chargers and Durangos; and the Chrysler 300. The affected 2011 to 2014 model year vehicles are powered by a 3.6-liter V-6 engine with alternators that can fail, causing them to stall without warning. Another 437,000 2011 to 2013 Jeep Wranglers are prone to having water enter the heated side mirror wiring and cause a short reports WXYZ Detroit. It isn’t every day that you will find yourself driving down the road and the hood suddenly flies open. That’s a possibility for owners of more than 220,000 Nissan Altimas, 2013 model year sedans only. Nissan explained to the National Highway Traffic Safety Administration (NHTSA) that “interference between the hood inner panel and the secondary latch lever, in combination with debris and corrosion, may cause the secondary hood latch to bind and remain in the unlatched position when the hood is closed.” As you might expect, a hood that flies up while you’re moving down the highway could cause you to crash. Mitsubishi has launched a recall of certain 2008 to 2011 model year vehicles, each powered by 4B1 engines. Those engines have an engine pulley that may experience unusual wear, causing the belt arrangement to fail, leading to engine stalling reports CBS New York. Affected models include: Lancer, Lancer Evolution and Outlander (2008 to 2011), Lancer Sportback (2009 to 2011) and 2011 Outlander Sport vehicles. Mitsubishi will replace the drive belt with a rubber belt. If the drive pulley shows excessive wear, it will be replaced as well. At the beginning of this month, the Ford Motor Company announced a recall for nearly 750,000 Ford C-Max, Fusion and Escape vehicles as well as the Lincoln MKZ for problems with the Restraint Control Module or RCM. The RCM in the affected vehicles may crack. Further, when exposed to humidity, circuits on the printed circuit board may short. If a short circuit occurs, an airbag may fail to deploy says Ford. If you are the owner of a 2005 to 2011 Toyota Tacoma PreRunner and 44 vehicle, the fuel tank is at risk of puncture, what can lead to a fire. Due to stress or corrosion, the leaf springs may fracture. If that happens while you are driving, the spring could move out of position and make contact with the fuel tank, leading to a possible fuel leak. Besides the mentioned recalls, the NHTSA has served notice of recalls for other vehicles to include: the 2014 Dodge Ram Promaster, Chevrolet Spark, Cadillac SRX, Saab 9-4X, Chevrolet Caprice and the Ram C/V Tradesman. Visit the NHTSA’s Recalls Defects section to find out if your vehicle has been recalled. You can also learn if a previously recalled vehicle has been repaired by conducting a vehicle identification number (VIN) search to uncover that information.